People often say that kids prefer the packaging to the actual present. 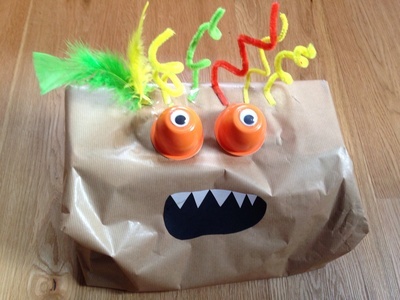 With this crazy monster present, the wrapping will definitely make them smile! 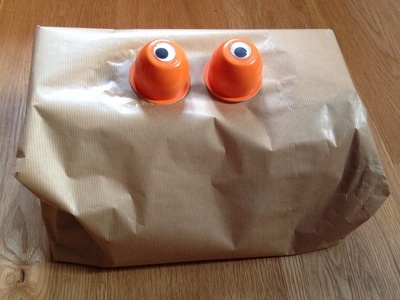 It's a great way to wrap an awkward shaped present which is difficult to wrap neatly. 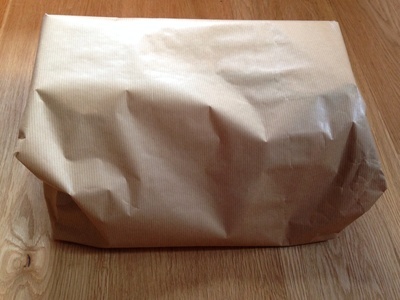 Wrap your present with the plain paper. A great way to disguise a difficult to wrap shape! 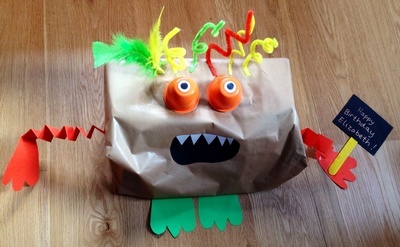 Let your imaginations go wild to create your monster. 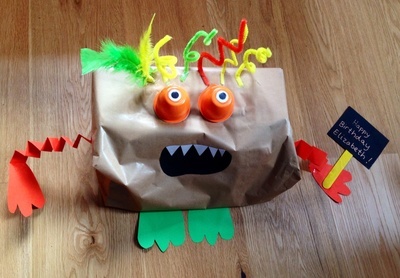 We stuck googly eyes to colourful yoghurt pots to make wacky eyes and taped curled pipecleaners on to make antennae. 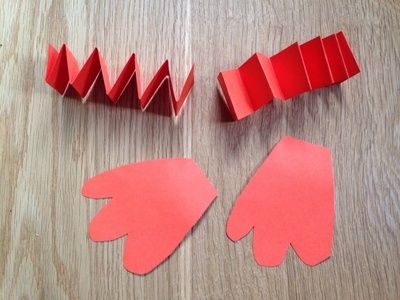 We folded strips of card into concertinas to make wobbly arms. 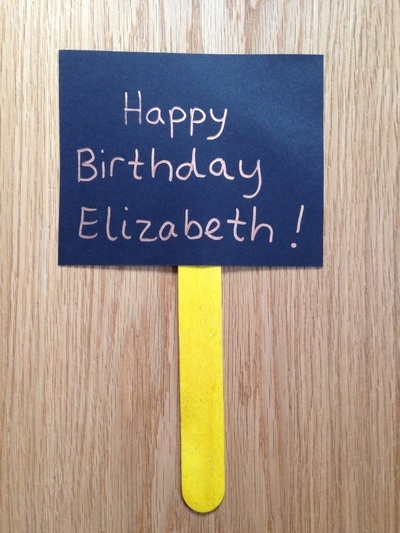 We created a Happy Birthday sign with a popsicle stick and piece of card.